1. Love Me Do (Lennon/McCartney) 2:24 From the original single "Love Me Do" with Ringo's version. From single "From Me To You" (A-side). From single "From Me To You" (B-side). 4. 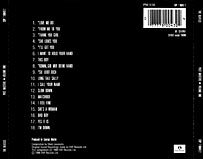 She Loves You (Lennon/McCartney) 2:22 From single "She Loves You" (A-side). From single "She Loves You" (B-side). From single "I Want To Hold Your Hand" (A-side). From single "I Want To Hold Your Hand" (B-side). From German single "Komm, Gib Mir Deine hand" (A-side). 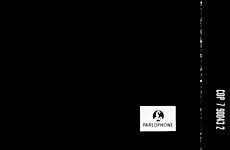 From German single "Komm, Gib Mir Deine hand" (B-side). From EP "Long Tall Sally" (A-side). From EP "Long Tall Sally" (B-side). From single "I Feel Fine" (A-side). From single "I Feel Fine" (B-side). 16. Bad Boy (Williams) 2:21 From LP "A Collection of Beatles Oldies". 17. Yes It Is (Lennon/McCartney) 2:43 From single "Ticket To Ride" (B-side). 18. I'm Down (Lennon/McCartney) 2:32 From single "Help" (B-side). Twenty-two singles, an EP with exclusive song material, 13 albums — one a double-set. By no means a bad haul for just seven years of recording activity. For apart from their unquestionable talent, the Beatles were mightily prodigious. So much, in fact, that to gather together a complete collection of their output is no easy task. While the material remains available — it still sells in such quantities that it has to be — the prospective purchaser has to gather up veritable armfuls of small and large sized vinyl, tape or shiny discs. This compact disc, and its sister volume issued simultaneously, simplifies matters considerably. If you have the other 13 CDs, and these two, you have everything that the Beatles, the most successful artists in the history of recorded sound, commercially issued during their remarkable reign. 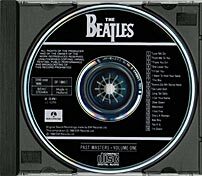 These two sets gather together A and B-sides of singles, those special EP tracks, oddities like the Beatles' two German-language recordings, a song recorded primarily for the American market and another especially donated to a charity album. But don't fall under the illusion that these songs are mere "fillers". 'She Loves You', 1 Want To Hold Your Hand', 1 Feel Fine', 'We Can Work It Out', 'Hey Jude' and many others like them didn't exactly wallow in the lower reaches of the chart. 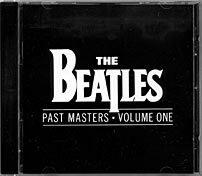 A different version from the recording on the Please Please Me compact disc. This one was recorded at EMI Studios, Abbey Road on 4 September 1962, with Ringo on drums. The other version, taped seven days later, featured freelance session musician Andy White in that role, with Ringo shaking a tambourine. Initial pressings of the song — the Beatles' first UK single, released on 5 October 1962 — featured this original recording, but the other was substituted in 1963 and remains the version generally available today. Recorded on two-track tape and perfected in around 15 takes. There is still some doubt whether 'Please Please Me' was a number one single in the British charts, since it was so in three of the four published weekly rankings but only made the runners-up spot in the now widely quoted fourth. (There was no one accepted 'record industry chart' then.) But 'From Me To You', A-side of the Beatles' third single in six months, was a unanimous number one and the first of 11 consecutive British "chart toppers" for the group. The recording commenced and was completed in 13 takes on 5 March 1963 and the single was released on 11 April. The B-side of 'From Me To You'. 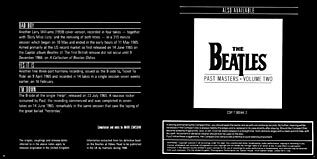 The recording commenced on 5 March 1963 with 13 takes and was completed on 13 March with the taping of additional edit pieces. The big fourth single; the song which epitomized the rush of Beatlemania and gave birth to the fervent (but quickly overused) "yeah yeah yeah" catchphrase. Recorded and completed on 1 July 1963 (the take details unknown) and released on 23 August. The B-side of 'She Loves You'. The recording commenced and was completed on 1 July 1963 (take details unknown). 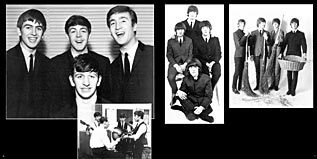 The fifth single, which sold a million copies before release in Britain, and cracked wide open the US chart for other Beatles records and other British groups to follow. The group's first four-track recording, begun and completed in 17 take? on 17 October 1963 and released on 29 November. The B-side of 'I Want To Hold Your Hand', with superb three-part harmonies from John, Paul and George. 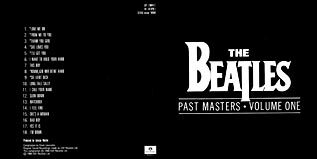 The recording commenced and was completed in 17 takes on 17 October 1963, the 15th take being chosen for the record release. Alias 'I Want To Hold Your Hand', sung in German! Recorded expressly for the West German market in a Paris (France) recording session on 29 January 1964, with new vocals and handclaps — perfected in eleven overdub takes — added to the basic instrumental track from 17 October 1963. Ditto, but this time of 'She Loves You', and a complete re-make. 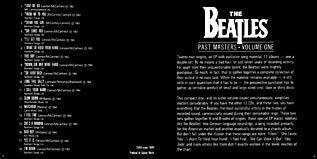 The released version was the 14th take The Beatles ensured they never again recorded in anything other than their mother tongue. A breathtaking one-take performance from the Beatles and Paul McCartney (lead vocal) in particular, not merely copying but arguably bettering the original 1956 Little Richard recording. Taped at Abbey Road on 1 March 1964 and issued as the title track of a British EP on 19 June. Originally written by Lennon/McCartney — but principally by John — for exclusive recording by Billy J Kramer with the Dakotas. But when it was submerged as a Kramer B-side (backing 'Bad To Me', also written by the two Beatles) John decided to give it an airing more akin to that merited by this interestingly constructed composition. Recorded and completed in seven takes (the master version was an edit of takes five and seven) in the same 1 March 1964 session, and issued on the Long Tall Sally EP. A cover version of Larry Williams' 1958 original. The Beatles would later record two more Williams songs, 'Dizzy Miss Lizzy' (on Help!) and 'Bad Boy', which crops up later on this disc. 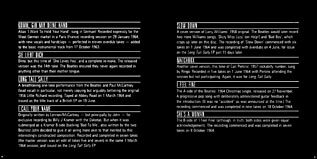 The recording of 'Slow Down' commenced with six takes on 1 June 1964 and was completed with overdubs on 4 June, for issue on the Long Tall Sally EP just 15 days later. Another cover version, this time of Carl Perkins' 1957 rockabilly number, sung by Ringo. Recorded in five takes on 1 June 1964 with Perkins attending the session but not participating. Again, it was for Long Tall Sally. The A-side of the Beatles' 1964 Christmas single, released on 27 November. A progressive pop song with deliberately administered guitar feedback in the introduction. (It was no "accident" as was announced at the time.) The recording commenced and was completed in nine takes on 18 October 1964. The B-side of 'I Feel Fine' (although, in truth, both sides were given equal acknowledgement). The recording commenced and was completed in seven takes on 8 October 1964. 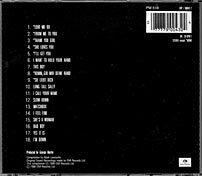 On back cover first issue from 1988 there was only Parlophone logo. 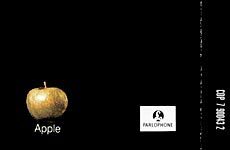 On all re-issues which have about 5 years after has appeared also Apple logo. На обратной стороне первого издания 1988 года находился только логотип Parlophone. На всех последовавших примерно через 5 лет переизданиях рядом с ним появился еще и логотип Apple.